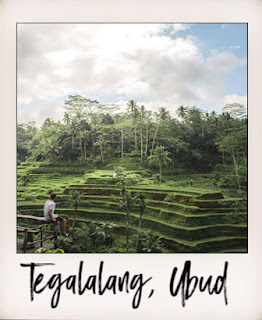 Tegallalang, History & The Beautiful Place with Rice Terrace. If you want to see the beauty of terraced rice fields in Bali, Ubud is one of the places you must visit. The stretch of paddy fields is not as wide as the jatiluwih rice fields but the terracing rice fields in Ubud offer uniqueness, which is a paddy field. Of course it will be very fun when we are here, rice fields with a arrangement of terraces with surrounding trees that are still growing green make you who visit rural tourism tegalalang seemed to be brought to heaven. We guarantee that if you visit this attraction all your problems will be lost for a moment and your mind will be refreshed. The charming panoramic beauty of Ceking Terrace coupled with the cool and comfortable air makes you feel at home for long to enjoy the natural atmosphere. Here you will see Balinese farmers plowing and raising their fields in sloping hilly areas complete with irrigation systems that continue to drain the water from the mountains. Ceking Terrace has become one of the natural attractions that are currently crowded with tourists every day. The charming charm of this place, hopefully providing comfort when you vacation with your family in Bali.